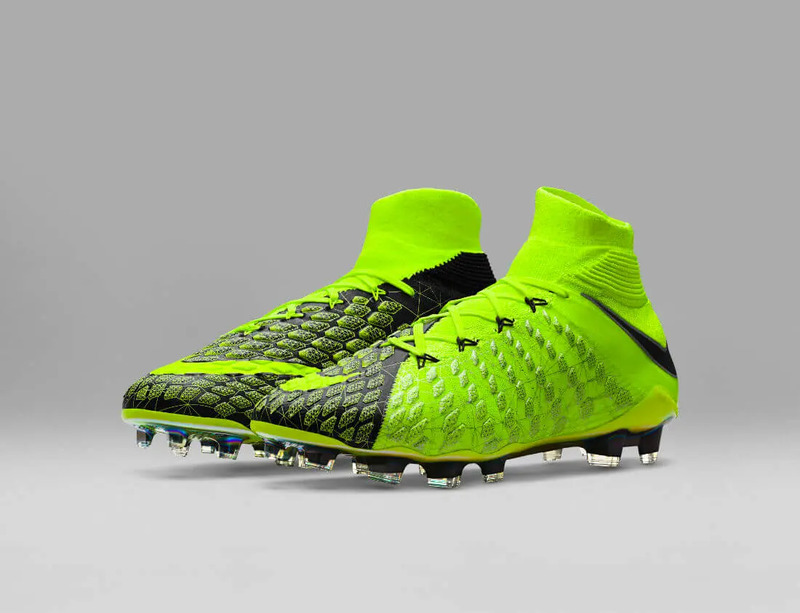 Nike have revealed their new Hypervenom 3 football boots, the second collaborative boot made alongside EA Sports, developers of the yearly FIFA game series. 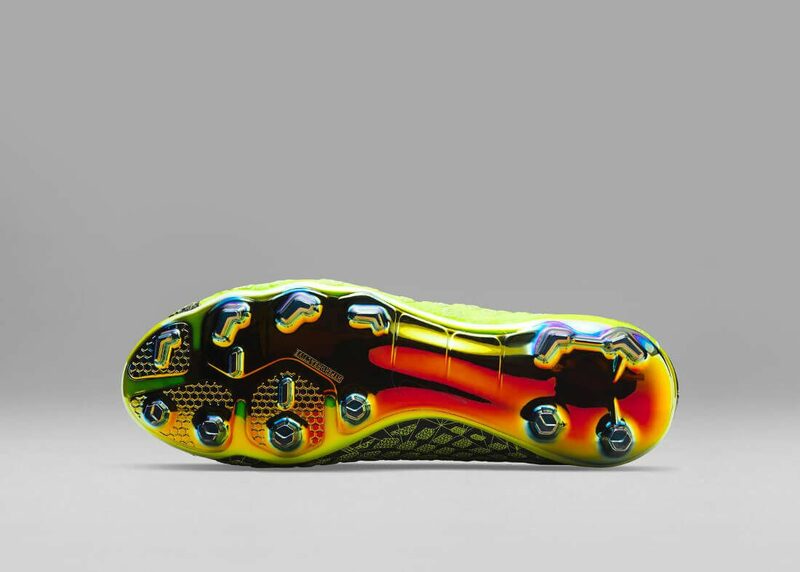 In keeping with this collaboration, the graphic treatment on the upper of the boot is a nod to Real Player Motion Technology which was leveraged for the first time in creating the latest instalment of the game, FIFA 18. 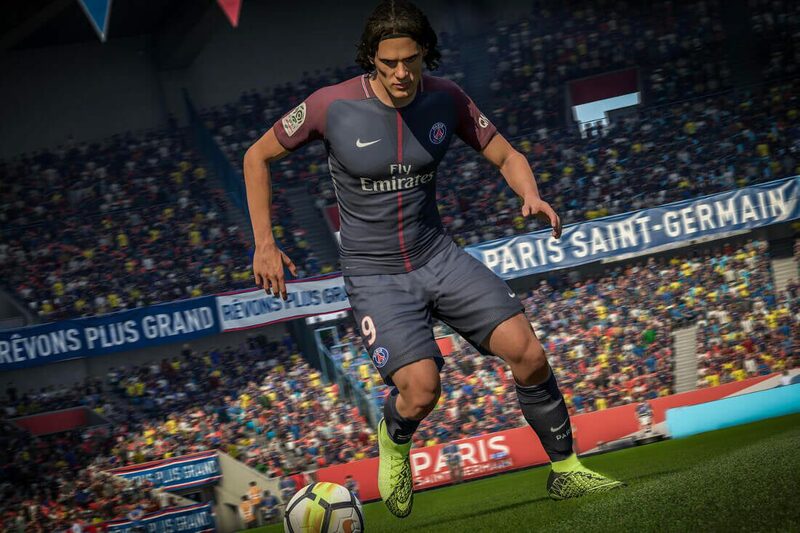 This new motion capture technology brings data to life to ensure gameplay accurately represents players like Inter Milan’s Mauro Icardi and Paris Saint-Germain’s Edinson Cavani, who will both wear the Hypervenom 3 on the pitch in real life this season. 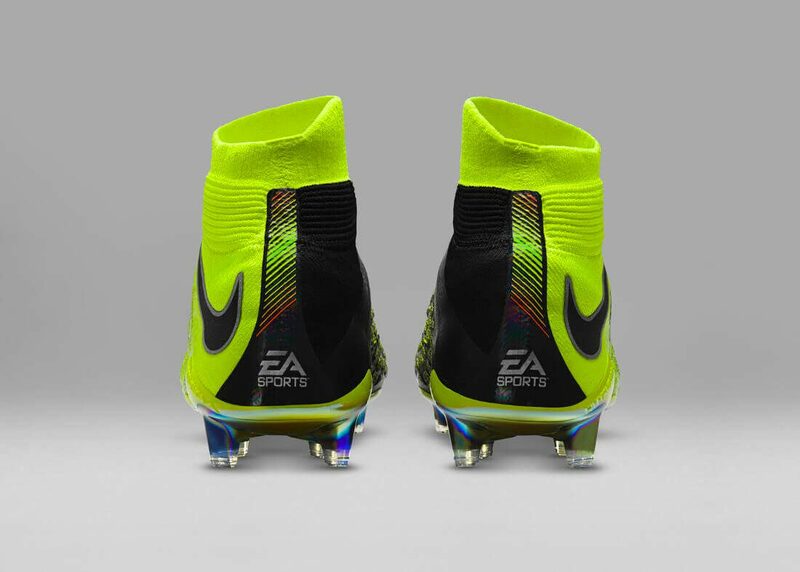 The motion capture wireframe graphics highlight the strike zone of the boot, which features a reflective Nike Swoosh, and reflective branding on the heel includes a graphic inspired by the EA Sports power bar. 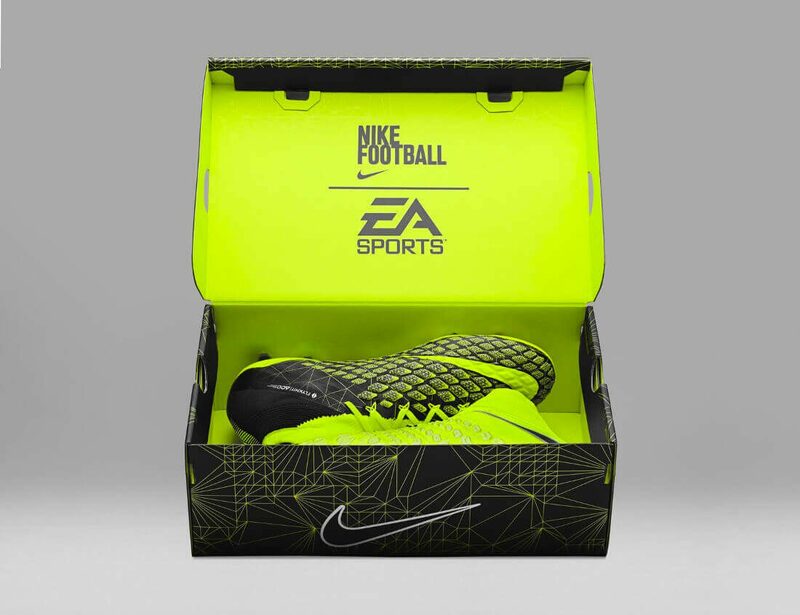 Additional EA Sports touches appear on the sockliner, lace aglets and shoebox. Around 4 billion people, or half of the world’s population, consider themselves to be football fans globally, and or every minute of football played by the stars of the Premier League, 26,000 hours of FIFA will be played all around the world. 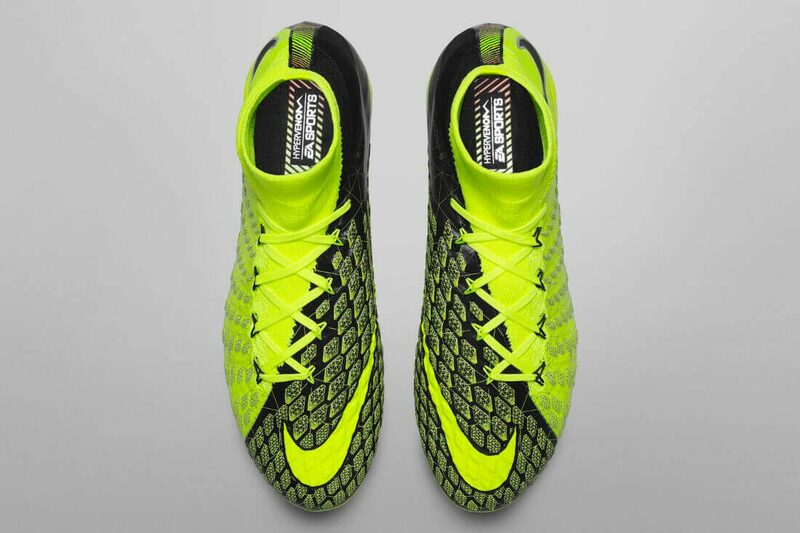 The Hypervenom 3 will make its virtual debut on September 21st, but the real world version of the boot will be available to buy on September 25. 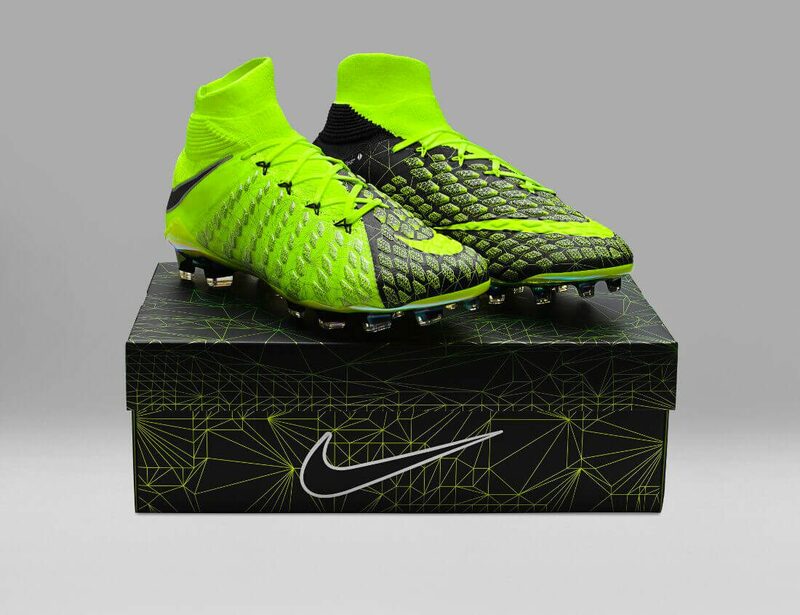 These individually numbered boots are limited to 3000 pairs in adult sizes, with an additional 1000 pairs available in youth sizes.